Phoenix Machinery, leading machine manufacturer in the Middle East, supports TEDxBeirut to promote out-of-the-box thinking that positively impacts the world. 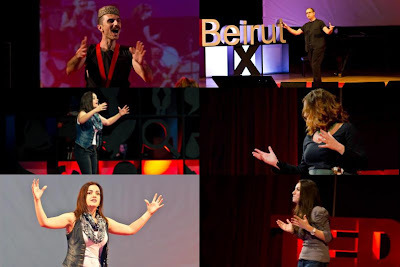 As a company strongly focused on promoting ideas and innovation in Lebanon and within the region, Phoenix Machinery sponsored the 2nd Annual TEDxBeirut conference held on 17 November 2012. Phoenix Machinery General Manager, Rabih Osta, attended the TED (Technology, Entertainment, Design) event that brought together innovators, scientists, and creative minds to discuss “Ideas Worth Spreading”. The full-day event witnessed 1200 attendees gathered at UNESCO Palace in Beirut, Lebanon, to watch 18 creative minds share success stories, as well as insights into diverse fields of expertise. Walkabout Drum Circle and Beirut Vocal Point, a Capella group, also offered captivating live performances. The event consisted of 3 sessions of inspirational speakers and performers, as well as dedicated time for networking, socializing, and social space activities. About his talk: Saoud discusses how to better capitalize on natural resources, salt water (sea and ocean), to increase food production and accommodate the growing world population without harming the environment. About her talk: She discussed her plan to pull a big stunt that aims to promote intelligence and wisdom among the Lebanese community. About his talk: Mouracade shared what he learned from his experience as a mountaineer and how these lessons can be applied to life’s many challenges. About his talk: Asfour forecasted future trends in design spaces and discussed, from experience, how to develop learning environments that facilitate out-of-the-box thinking related to surrounding space. About his talk: Zwein shed light on the renewable resource, Thorium, as a cheap, efficient, clean, safe and abundant energy source for nuclear power. About his talk: Dr. Elachi, a holder of numerous graduate degrees and awards, discussed his experience at NASA and how he developed numerous flight missions. Furthermore, he shared with the audience how he lead a team of explorers to land the Curiosity Rover on Mars and explore Earth’s Solar System and neighboring planetary systems. About her talk: She discussed how connecting disadvantaged and at-risk youth to financial, educational, and material resources will grow their talents and strengthen their skills and most importantly keep them away from crime, violence, and drugs. About his talk: He promoted a national public and private sector economic development initiative to unite Lebanese. The initiative consists of numerous successive large scale projects to promote national consciousness. About her talk: She highlighted how comics can be used constructively to critique society in a comedic way to brighten people’s days, as well as how each individual can pursue what the job they love even if it is done as a hobby. About his talk: He spoke about the mission of the LTA to fight corruption in Lebanon. He highlighted that the LTA aims to enlighten and engaging the youth and community throughout the process of developing reports and laws. About her talk: She promotes the use and modernization of the Arabic language as a means of creative expression, in order to hold on to our identity. About his talk: He discussed how individuals face difficulty reacting to and accepting recognition, as well as helped attendees learn how to identify what recognition is best for them. He aimed at promoting more effective communication and better relationships within the work place and in all other situations. About her talk: She focused on the importance of realizing children as capable and competent learners, as well as the effectiveness of self-directed inquiry. About her talk: She promoted self expression through spoken word poetry and encouraged the youth to voice opinions and problems in a peaceful and artistic manner. About her talk: she shared with attendees the story of how she launched her blog, ‘Hijabi’, that promotes tolerance and combats discrimination by openly discussing her personal experiences and answering questions people ask her , as a veiled woman. Also, speaking included the Coach Roland Najm: “All we need is To Evolve”, and Host Hussein Charafeddine: “All we need is Science”. Initially launched in 1984 in California, USA, TED conference joined together leading thinkers from the Technology, Entertainment, and Design fields. Today, TED scope has broadened to include science, humanities, society, business, and development. TED, owned by a not-for-profit foundation, aims to spread ground-breaking ideas that can shape and evolve the world. TED includes two annual conferences, TED Conference in Long Beach/Palm Springs, USA, and TEDGlobal conference in Edinburgh, UK, as well as TEDx and TED Fellows programs, TED Talks video site, TED conversations, TED prize, and the Open Translation Project.